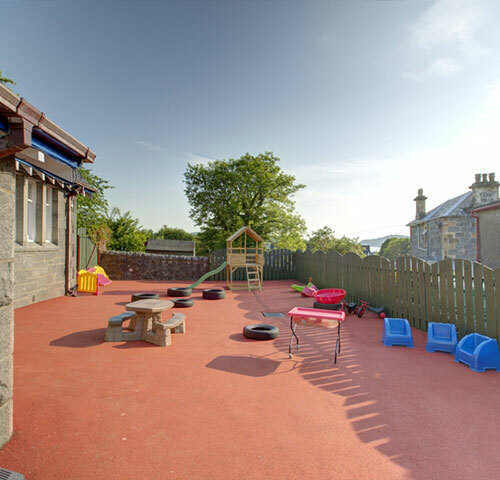 Oban 1st Steps Nursery is committed to offering a service where every child matters and that their time with us is a seamless extension of home that allows all children to develop their full potential. 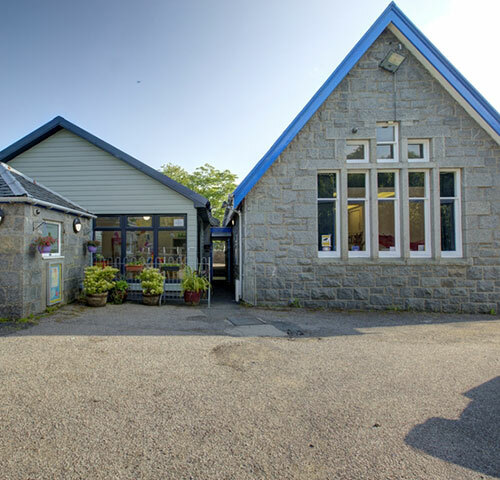 Our nursery is on a hill overlooking the picturesque bay of Oban in an attractively renovated building that was opened as a School in 1888. We are registered for the provision of full day care and early learning childcare for up to 43 children aged 3 months to 5 years old. 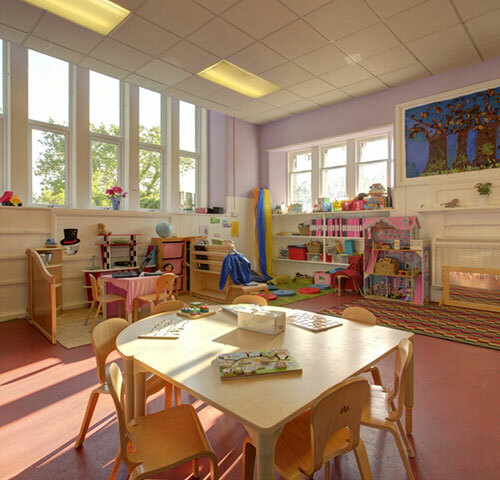 The children spend their day under the guidance of our qualified and caring nursery practitioners, in a happy and secure environment. At Oban's 1st Steps Nursery we believe that every child is unique and should be at the centre of our practise. We use recommended national guidance from the Pre-Birth to Three, Curriculum for Excellence, National Care Standards and The Child at the Centre to inform on our planning for each and every child. Each child has a nursery keyworker who is responsible for maintaining and updating records of their development. They follow a daily routine specifically designed to include time for free choice and group activities, both inside and out. 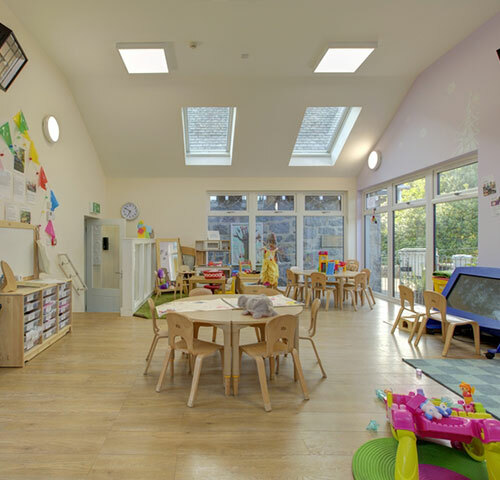 It is central to the philosophy of the nursery that all staff should be very positive at all times towards the children, towards each other and towards the nursery. Activities are planned for all age groups to ensure a flexible and balanced curriculum with a combination of busy and quiet activities, indoor and outdoor play. Our extra curriculum nursery activities include reading sessions, ballet dance sessions and Gaelic language sessions. We view parents as partners in their child’s learning and try to involve you as much as possible, we have notice boards for each room, with information on the planning for that week and ideas for next week. We operate an open door policy for you to speak with your child’s key worker or management at any time, whenever possible. If you would like to register your child please download our Application form. 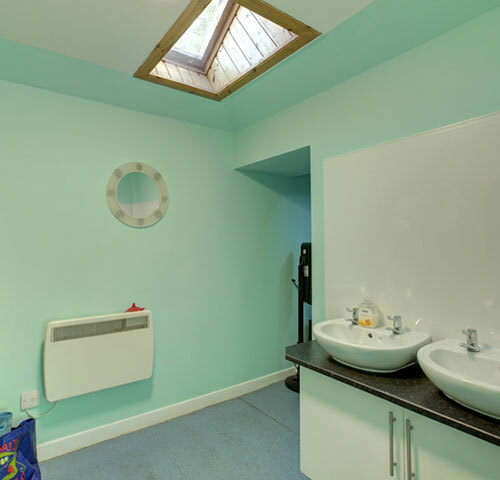 We have three bright and airy rooms for the different aged children as well as extensive garden and playground areas for children of all ages to explore. Entry is by a secure coded gate and there is CCTV in operation 24 hours a day. For children aged 3 months to 2 years old. Babies explore their senses in a safe and nurturing environment. Our conservatory allows them to see the changing weather and the world around them. We follow the guidance from the pre-birth to three document, which highlights four key areas; responsive care, respect, relationships and the rights of the child. 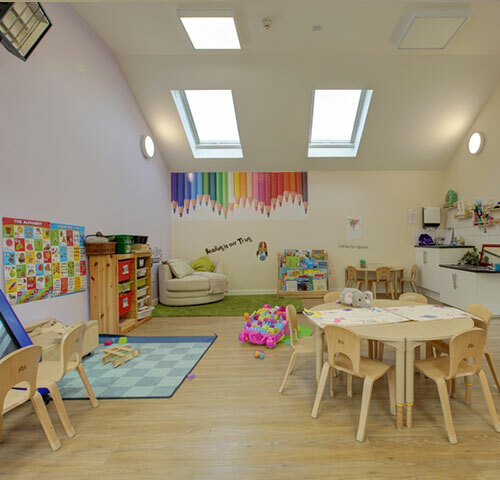 For children aged 2 to 3 years old, this room is cosy and allows the children to further develop their independence, with access to toys and books to promote self-choice. Children are offered the opportunity to rest or nap throughout the day and we offer activities and planning in line with the pre-birth to three document. For children under 5 years old. The children have self-registration and free access to a wide range of activities that help them to develop the skills for a seamless transition to School. 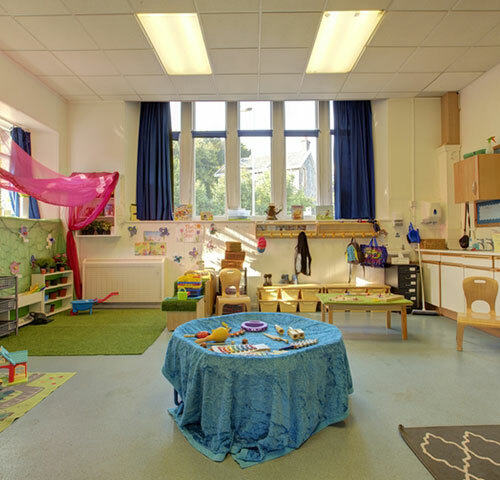 In this room they are following the Curriculum for Excellence, this guidance allows the staff to develop the children interests and let them take the lead in their learning. 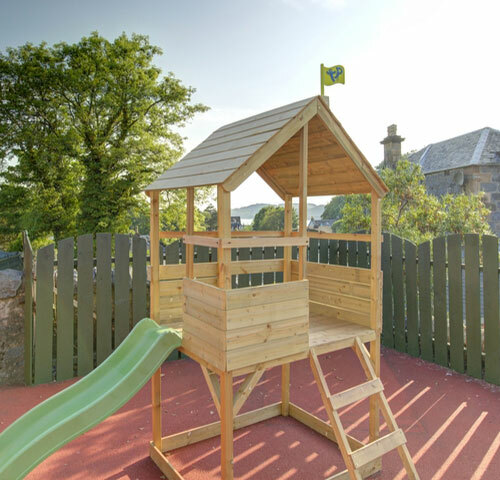 We have two main outdoor areas; a safe enclosed soft pour area and a garden with decking area for babies, a patio area and our growing areas with fruit trees, herbs and raised beds. We believe that children should be outside every day,whatever the weather! Good nutrition in the early years is vital. All sessions include refreshments and lunch is included for children attending a full day. All of the menus and food are prepared by our in house cook and are nutritionally balanced to ensure a healthy diet for the children. 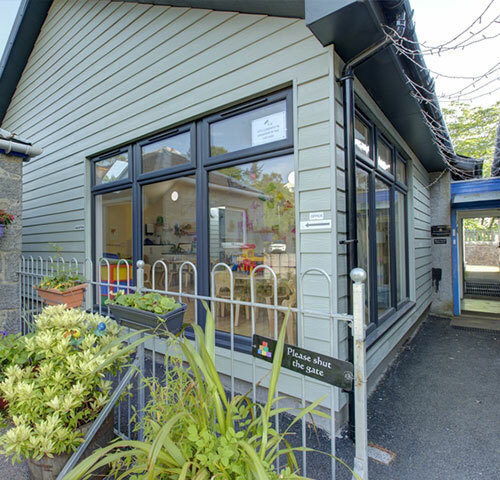 As we are a very popular and busy nursery, on receipt of a your application form and a £25 registration fee, your child will be placed on our waiting list, with priority given to parents who require a full time nursery place. Full day sessions 8am til 6pm. Morning sessions 8am till 1pm. Afternoon sessions 1pm til 6pm only available to children over 3 years. Minimum booking two full days. Open throughout the year. Closed Easter weekend, Christmas and New Year. 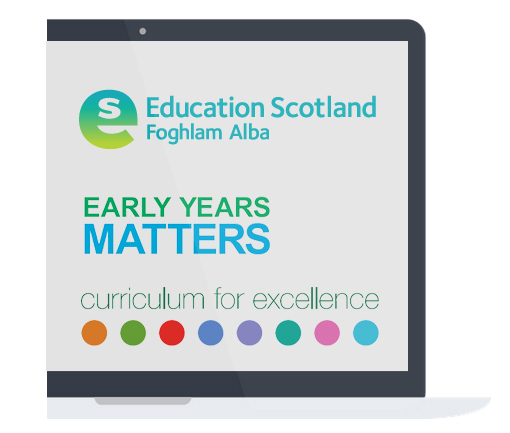 Government funding is available for Early Learning children after their 3rd birthday, consisting of 600 term time hours of ELCC in an academic year. For further information contact the pre-school education department on 01369 708508. "My husband and I are extremely happy with first steps..... I sincerely hope that 1st Steps is recognised as an excellent place for children and receives top marks! Fully deserved." "My child has just moved to the Tweenie Room and their transition has been handled brilliantly. 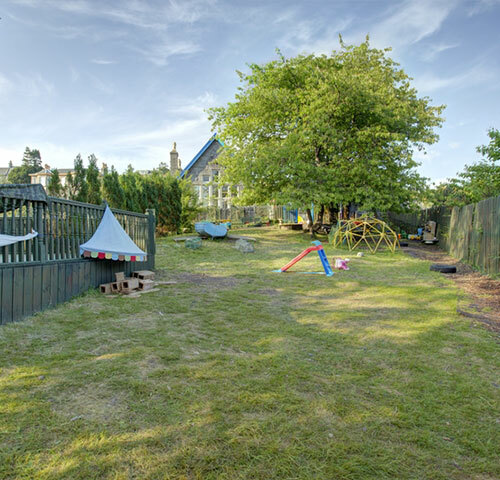 All the staff are friendly and welcoming and my child always looks forward to going to nursery." "My child is happy confident and loves all the staff. It is like their second home, they are safe, learn and trust. The service is excellent, I trust them to teach my children all they need to be confident and happy when they leave to go to primary school." 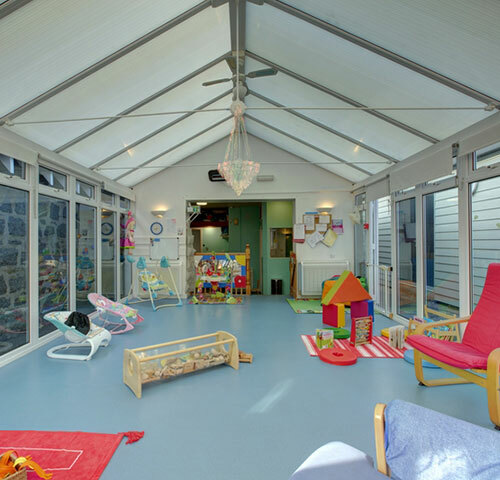 "1st Steps provides a great facility that allows my child to experience a wide range of activities, while also providing a stimulating environment. 1st Steps provides a caring and safe environment that I'm confident the needs of my child are catered for."